Chances are if you’ve heard others use the expression “It’s like watching paint dry,” you’ve assumed they meant that something was boring. 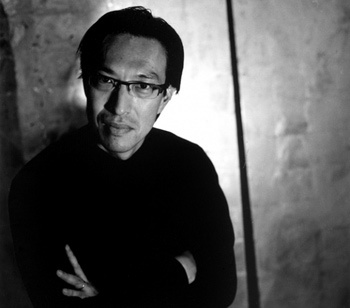 But that’s not the case for Makoto Fujimura, an artist and the founder of the International Arts Movement (IAM), a nonprofit that encourages artists to wrestle with questions of art, faith and humanity through workshops, lectures and performances. He finds watching paint dry fascinating -- so much so that he has even videotaped it. “There’s something about it that is very generative for me, that makes me come alive,” said Fujimura, who moved from Japan to the United States when he was 13 and was drawn to visual communication as he learned English. He paints using the traditional Japanese technique Nihonga, and his paintings have been exhibited at galleries around the world, from the Dillon Gallery in New York to the Contemporary Museum of Tokyo. His latest work is “The Four Holy Gospels,” an illuminated manuscript of the Gospels published by Crossway in January to commemorate the 400th anniversary of the King James Bible. Fujimura spoke with Faith & Leadership about the function of art, the International Arts Movement, and the “Four Holy Gospels” project. The following is an edited transcript. Q: What did you take away from illuminating the four Gospels? It was a life-transformative experience. I was working on this for a year and a half and dedicated to this task mostly. Each day I would read a segment of the Gospels that I was working on and meditate on it. My creative process was aligned with the text. It exposed so many things. It was a deep and abiding sense of how sinful I am, and at the same time, I was seeing visions of God. I would dream about images, and I couldn’t even translate that into concrete forms. It was like I had some map that was given to me, but I couldn’t read it. It was as if I was walking into a foreign country with a foreign language. So I had to take baby steps and trust that each step is going somewhere and that I would be able to tap into a visual language that I had never thought about before but that I had been cultivating. I had to trust that using everything that I had known in all my training and in all my work would capture and give honor to the biblical text. It was amazing, amazing. Q: And now it’s over? The funny thing is, I don’t think it’s over. I think there’s a lot that I learned. Certainly my art will change after this, and I’m already thinking about doing the Psalms. And I would love in my lifetime to try to be able to do all the chapters [of the Bible], but I don’t know if I can. At least I would like to do Isaiah, Jeremiah and Revelation. These are just the thoughts and dreams, but it pushed me toward a path that -- well, I guess it would be a lie to say I wasn’t expecting it, because I knew this would be an extraordinary experience, but I feel like I’ve just begun. I don’t know where it leads, but I feel like I have just begun to understand the map, and I’m eager to get to the next level. Q: What do you hope other people will get out of “The Four Holy Gospels”? I want to communicate tears of Christ and what that means today, as the semper Creator, the God who is always creating. There’s something about the nature of tears and the drying of them. “Jesus wept” -- that to me is so critical for understanding the gospel, and I see that as a critical path toward knowing what the arts are for and what they’re not for. Q: What are the arts for, especially in terms of their role in the church? The arts provide a comprehensive picture of both humanity and God. What I mean by this is, it’s not a theological statement. I’m not saying that the arts replace the divine word of God or the expression of the church. But what I am saying is that the arts are fundamentally connected with the realities that God has created in the universe, as well as in communities of his people. Look at everything from the Genesis account of Adam being asked to name the animals to passages in Revelation that are full of images -- and maybe, in some ways, only artists can understand that. All those things are the language of the arts. It’s more than arts being used. I think in some ways you can’t use the arts any more than you can use a human being. So we want to have a language that fully celebrates both the artist and the gospel. And in my mind, they are two intertwined realities. The reason that we need the arts is not so we can have more artists in the church, but for the sake of the gospel. The arts are a cup that will carry the water of life to the thirsty. It’s not the water itself; it’s the vessel. What we are doing in the church today is we are just picking up water with our bare hands and trying to carry it to the thirsty. We can still do it, but the effect is minimized by not fully utilizing what God has given us. We have to do what we can to carry the full cup, rather than be satisfied with waters that slip through our fingers. Q: How do you carry the full cup? We need to regain our practices of discipline. St. Benedict said “To work is to pray,” and Sister Wendy said “To see is to pray.” And I think, in some ways, when the artists come into the picture of that process for the church of proclaiming the gospel and living out the gospel, they give us the language, the colors, the passion and the tastes. Those things are cultivated in your lifetime and maybe even generationally. Bach did not become Bach overnight; there was a generational sacrifice that was made for music and for faith that allowed him to become Bach. We need to look at the long term and say, “Yes, we as a church have to uphold these principles so our children will be able to go much further than where we can in culture.” That cultivation -- the practice, the discipline -- all these things will be required. Q: What role does creativity play in this? When you empower a child to write or to paint or to sing -- something that will awaken the senses to take in both the challenges and the darkness of our days, but also the hopes and dreams -- you’re causing a ripple effect in that child’s life and for generations to come. And that’s why the arts in some ways are fundamental to even scientific research and mathematics. We talk about needing math and science education all the time, but we don’t realize that they start with an intuitive process. Mathematics is not just this mechanism that you teach, but true math is this creative process of re-examining these abstract concepts and not making things up. They are grounded in reality, but they have these margins that you question deeply, even the assumptions that these abstractions are really giving you. And so at the core level, all the disciplines need to have a grasp on the intuitive side of our experiential side. That allows us, I think, to go deeply into each of the disciplines and connect them at the same time. Q: In 1990 you founded the International Arts Movement, and you have said that its goal is to re-humanize the world. What have you learned about how to do that? You first identify what’s dehumanizing. We do that by understanding the arts and the fundamental beliefs that we have about the arts. You cannot “commoditize” art and make it sustainable. It’s OK to be part of a market system; it’s just that you have to guard the very heart of expression that cannot be commoditized. It is a gift, and we want to honor that gift. You have certain ideals, and you’re often co-opted by and hijacked by these ideological realities and dehumanized mechanisms. So you identify those dehumanizing things first, and then you re-humanize by working at it and being faithful in the place you’re called to be, by not giving in to these dehumanized realities. At the same time, you’re willing to engage with it somehow, being part of it but not being of it. And then you begin this generative conversation. You reverse this somewhat excessive narcissistic interest by intentionally being generous, a radical transgressive act. And you become, hopefully, part of the microcosm shalom that is able to be a catalyst for the whole and will generate like yeast. There is something very generative about it, and then you move on and create more microcosms. Q: What role does tradition play in the generative process? Is there a place for both tradition and innovation? That’s a critical bridge that 20th-century modernists tried to shut out of the process, yet they were unable to. T.S. Eliot talks about it in “Tradition and the Individual Talent.” We have to have a paradigm in which we can make alive these traditions and create something new from them. And ultimately, I think that’s what’s going to be enduring. If you cut yourself off from the past, you may think you’re doing something new, but in reality, you’re not. However tentatively, it’s connected to the past. That will remain as we look at these works now, so it’s critical to have tradition and innovation connected. I’m actually in the process of creating a small institute to think about that, because I’m not quite sure how it plays out in reality. I know how it works in my work, and it’s instinctive. It has to do with Japanese traditions and my connectedness to them, and then what I want to do in the creation of new paintings, and so forth. At the same time, it’s so intuitive. It’s like, I don’t know how I paint; I just know I do it. But after a while when I’m doing exhibits, I have to stand back and talk about it, and that’s a different process and mechanism. I have to get input from other people to really have this conversation be useful for the next generation. I’m in the process of doing that. Q: You’re known for painting in a traditional Japanese style. In what other ways does being a Japanese-American, as well as a Christian, influence your work? I’m such an amalgam, I don’t even think about it. In a sense, I love what it is that makes Japanese culture unique and American culture unique. I think a wonderful advantage that I have is being able to both critique and honor what is good in both sides. And so I don’t consider myself a Japanese-American artist, but I know I am. I don’t consider myself a Christian artist either. I’m an artist who follows Christ, yes, and I don’t mind people saying that, but it’s an adjective. It’s a category. Really, to me, the most important part may be the part that is exiled from these things, because I realize that’s where God dwells. Maybe that’s a Kierkegaard influence, but there’s something about the in-betweens and either-or that allows me to prophetically speak into both. That’s what I like to do.